It doesn't seem likely that we'll be getting a new Advance Wars game any time soon. Which is a shame, because I've always much preferred the bright, zesty style and no-nonsense tactical focus of Intelligent Systems's more modern strategy series over the po-faced fantasy-RPG trappings of the Fire Emblem franchise. 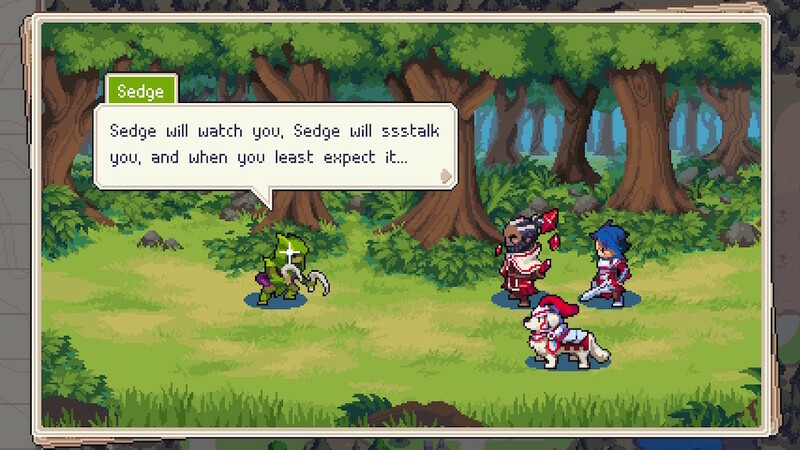 That's probably why I don't really care too much that Wargroove is such a shameless Advance Wars 'tribute'. Rather, we should applaud Chucklefish for attempting to break the decade-long impasse. It helps that Wargroove is a really accomplished Advance Wars-a-like, and also that it's not an out and out clone. Most obviously, it adopts a fantasy-medieval setting that's closer to the aforementioned Fire Emblem universe than Advance Wars. The units here are cute war dogs, fresh-faced swordsmen, and plucky warrior queens. 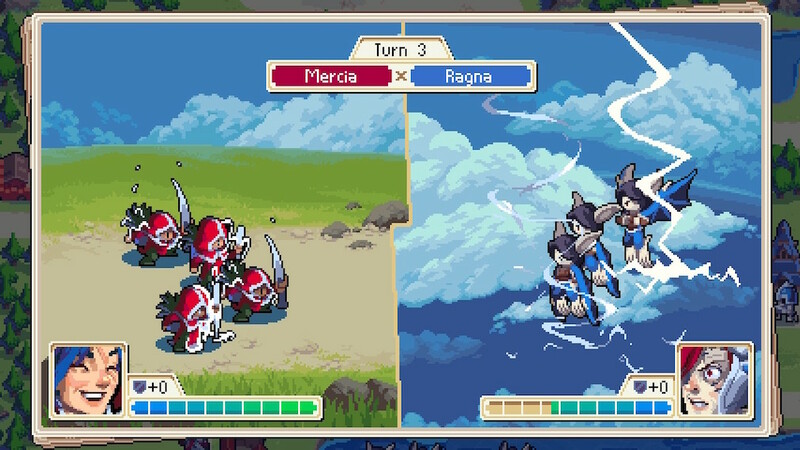 But the pattern of Wargroove's battles is very familiar. You have a top-down map with odd settlements for taking over, roads for speeding up travels, and natural defences like woods and forests for holing up in. Each turn sees you moving your units within their individual capabilities, attacking where possible. When confrontation arrises, each party gets an attack on the other, provided both are within the appropriate engagement range (a factor that makes ranged units very powerful). These attacks play out in cute little split-screen cutscenes, in another tip of the hat to Advance Wars. I must admit I found myself turning these animations off once the engagements started getting longer, but they're pretty adorable all the same. Unless there's a massive unit mis-match, the advantage typically goes to the attacker, as HP and AP are interdependent. A unit on low health is a unit with much less pop to their attacks. You also need to observe a 'paper, scissors, stone' effect that sees each unit stacking up strongly against certain opposing types, yet weak against others. Mounted knight units are devastating against many ground units, for example, but are brought up short against the humble pikemen. You also have to consider the fact that each unit has a unique critical attack opportunity, activated by a specific movement or environmental situation. Commander units also come into play, which are uber-powerful but will end a game if they fall. Despite these tactical permutations, Wargroove wisely sticks to the source material in keeping its campaign battles zippy, action-packed, and varied. There are unexpected reinforcements that force you to adapt on the fly, fresh combinations of units that require and alternative approach, and optional side-missions that mix things up further. 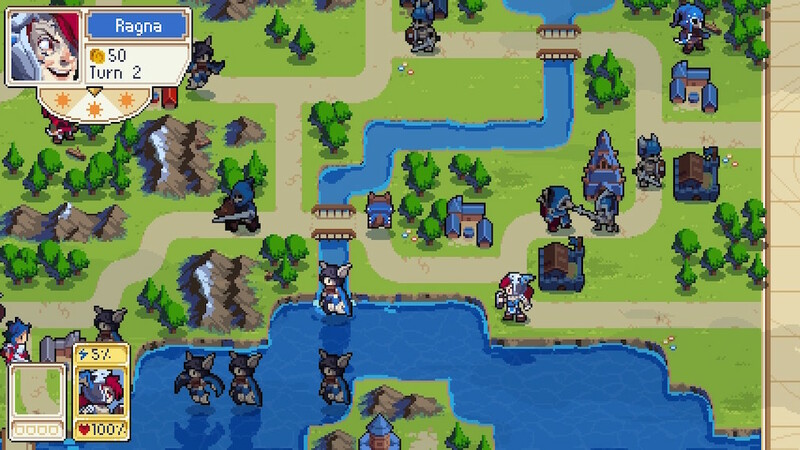 Indeed, while it might have formed part of Nintendo's recent indie showcase, there's nothing slight about Wargroove's single player offering. 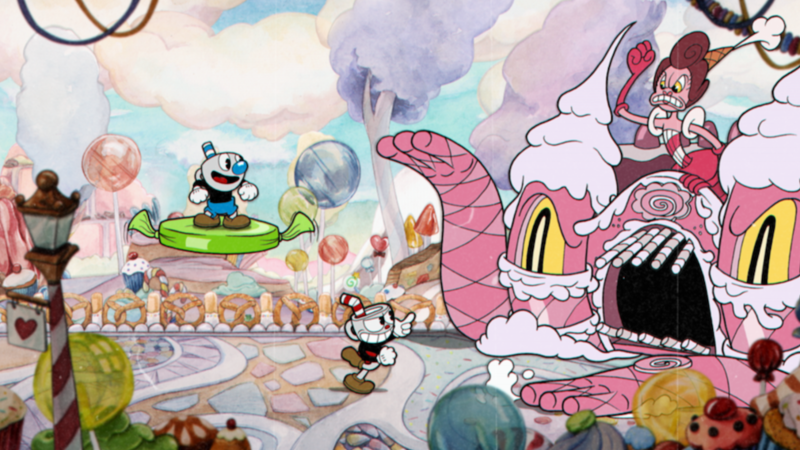 Besides a rich and varied campaign, you get bite-sized Arcade and Puzzle modes to unlock, as well as both local and online multiplayer. 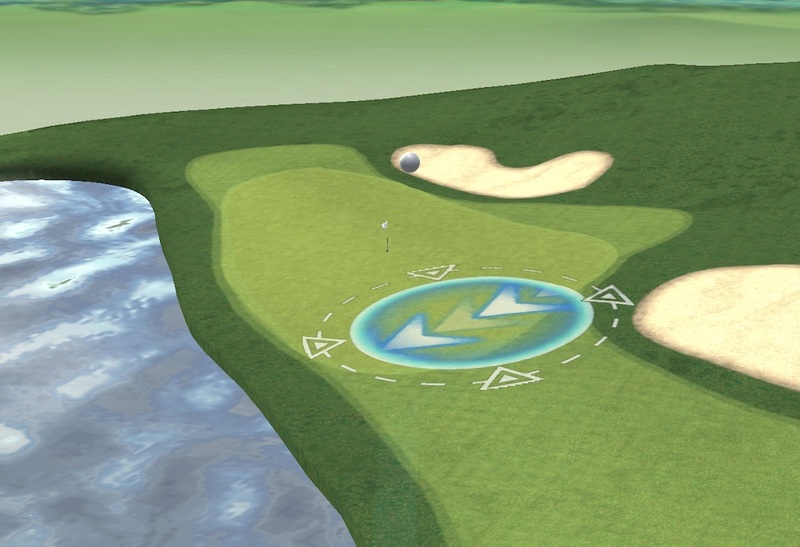 You can even build your own levels and share them online. This is never something I'm particularly interested in, to be honest, but I know that for others it will provide a huge boost to the game's longevity and appeal. Besides the aforementioned lack of originality, any issues with Wargroove should be familiar to fans of the format. It's possible for some levels to devolve into grindy drudgery if you don't do things the 'right' way, and losing your commander deep into a level through a single bad or unlucky decision can be tough to take. But there's plenty to keep you coming back. 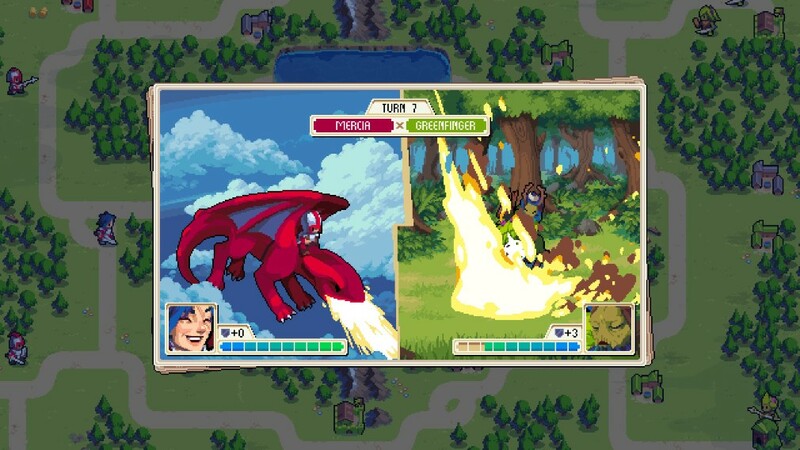 Wargroove is a generous, accessible, and thoroughly rewarding Switch strategy experience. 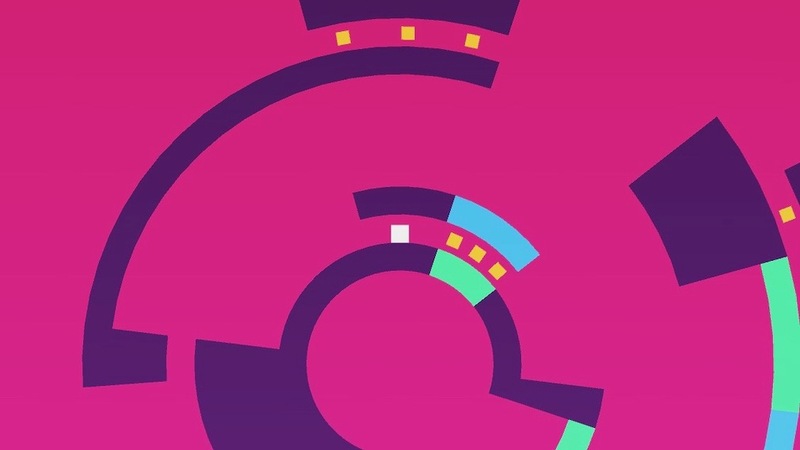 It's the kind of game that even people who wouldn't count themselves fans of tactical games will get thoroughly absorbed in. A large part of that is down to the charm and humour present in its presentation and writing. It's the usual high-stakes fantasy epic stuff, but with plenty of cheeky winks and bags of heart. Intelligent Systems should be flattered by the level of imitation on display in Wargroove. But it should also feel humbled at the effort that's gone into it, and maybe even a little bit worried at how accomplished the results are. Chucklefish has clearly got the Advance Wars battle plan figured out. 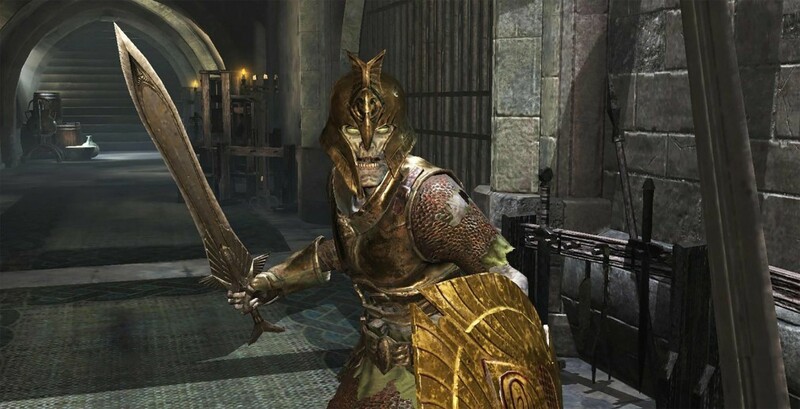 We're looking forward to seeing it branch out in the next campaign. The Arcade Rabbit review - "A decidedly weird roguelike brawler"